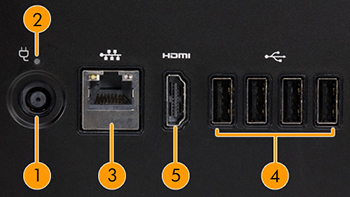 I am trying to add a second monitor to my all-in-one computer but the monitor nor the computer seem to recognise that a HDMI cable is plugged in. The screen I am connecting to is a Dell screen. When the HDMI cable is in my computer it just flashes black and back tot he main screen again. Also the second monitor does not receive a signal. Help please, searching and searching for an answer for days! Have you triet installin the video driver of the PC..? If you dont know how to find the drivers, could you please provide me the Product number of the PC so i can help you to look them. It's for using another video source (like a video game platform) to play through your screen. You might be able to use a USB 3.0 to HDMI out adapter. 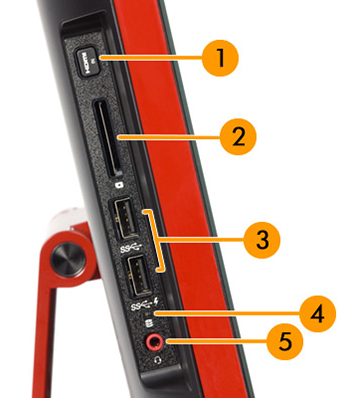 The button is to tell your monitor to switch to the HDMI cable source in the back. It won't output any signal.